As we finish up Cesarean Awareness Month, let's not forget to also discuss the decline of VBACs (Vaginal Birth After Cesarean) in this country and around the world. There is a new study out showing just how dismal the VBAC climate still is in many places. The lack of access to VBACs is one significant reason that the cesarean rate is so high. More than 90% of women who have a pregnancy after a cesarean will have more cesareans, even though most of these women could have a vaginal birth if they were allowed to try. The problem is that they are rarely allowed to try anymore. Either there is an outright ban on VBACs at their hospitals, their care provider won't/can't attend VBACs, or their care provider subtly sabotages their care so they don't get a real trial of labor ("Sure, you can have a VBAC ─ but only if you go into labor by 40 weeks, the baby isn't too big," etc.). So as we finish Cesarean Awareness Month, let's take a moment to examine the sorry state of VBACs today, how we got to where we are, and how we can Fight Back for VBAC. A Brief History of VBACs in the U.S. Many years ago, VBACs were practically unheard of in the United States. "Once a cesarean, always a cesarean" was the rule because most cesareans were done with an up-down classical incision that increased the chances of a uterine rupture during labor. However, in time cesarean technique changed, and most OBs opted to use side-to-side, low transverse incisions instead. This meant that the risk for uterine rupture, while not zero, was low. Still, most U.S. care providers did not allow VBACs, even though VBACs were allowed in Europe. Then in 1980, a conference was co-sponsored by the National Institute of Child Health and Human Development (NICHHD) and the National Center for Health Care Technology. It concluded that VBAC was a reasonable option and could help decrease rising cesarean rates. Slowly, research began to accumulate that VBACs were a reasonable choice. Although some areas were slow to allow VBACs, the U.S. national VBAC rate began to rise significantly. In 1980, the VBAC rate was 3.4%. By 1996, the VBAC rate reached its peak at 28.3%. As the 90s progressed, however, a highly-interventive obstetrics model that utilized a lot of induction and augmentation of labor was applied to VBACs too. These interventions increased the risk of uterine rupture and poor outcomes and made VBAC look more dangerous than previously thought. This was documented in McMahon 1996, which was criticized for its methodology but was unfortunately widely-publicized despite its flaws. In addition, some insurance companies required a trial of labor, even when women didn't want one or were poor candidates for a VBAC. Some labors were not adequately monitored, and dangerous drugs like misoprostol (Cytotec) were used to induce VBACs. As a result, some highly publicized catastrophic outcomes and lawsuits began turning the tide of obstetric opinion against VBAC. As you can see by the graph above, by the very end of the 90s there was a distinct downfall in the rate of VBACs, and after 2000 the rate really began dropping off. It is less than 10% now. The graph stops in the mid-2000s; sadly, the rate is even more dismal now than the graph shows. In some areas, the VBAC rate is absolutely awful; one study reported that Florida had a VBAC rate of only 1%. The reason for the steep drop-off in VBACs is that in 1999, the American Congress of Obstetricians and Gynecologists (ACOG, the trade union for OBs) issued new guidelines for attending VBACs, requiring doctors and anesthesiologists to be "immediately available" instead of "readily available" during a VBAC labor. This meant that OBs and anesthesiologists had to be IN the hospital the whole time a VBAC mother was in labor....."just in case." This meant OBs couldn't hold office hours to see other patients during this time, and hospitals had to pay anesthesiologists to be constantly on-site. "Immediately available" was financially and logistically impractical, so more doctors quit attending VBACs. In particular, a lot of smaller hospitals instituted official VBAC bans because they could not meet the "immediately available" guidelines for 24/7 anesthesia and surgical coverage. This has had a particularly significant impact on states with lots of rural or small-city hospitals. Other hospitals instituted "de facto" VBAC bans, where there were no official policies against VBAC but no doctors would attend one because of the requirement to be in hospital during a woman's whole labor. In one study, 57% of women who were interested in VBAC reported that they had a repeat cesarean because their hospital or caregiver was unwilling to allow VBAC. Insurers have also pressured hospitals and administrators to close VBAC services, and have been very effective. There are few other procedures in medicine whose availability is dictated by malpractice insurers, and none that are so widely needed. The combination of all of these factors obliterated VBAC as a choice from basically half the hospitals in the country. The ONE-WORD change to "immediately" available in the ACOG guidelines was a virtual death knell for VBACs in the U.S. Sadly, many other countries in the world followed the U.S. trend. It is quite difficult to get even a chance at a VBAC in many areas now. The ACOG guidelines stipulate that a full surgical team be “immediately available” during a VBAC labor, though the stipulation is a “Level C” recommendation, which means it is based on the organization’s opinion rather than medical evidence. This recommendation, "VBAC should be in institutions equipped to respond to emergencies with physicians immediately available," has no data to support it--no studies showing improvements in maternal mortality or perinatal mortality related to the characteristics of institutions or availability of physicians. In other words, the change in guideline wording that obliterated VBAC access for so many was based on NO REAL EVIDENCE. This is not good science nor good public health policy. It's birth politics, pure and simple, and at the price of women's reproductive autonomy. "Immediately available" sounds good on paper ─ someone there at all times in case of the true emergency of uterine rupture ─ but it puts a level of demand on VBACs that no other birth has. For every other birth, it's fine to have doctors on call nearby but not constantly on-site. Yet VBACs are treated differently. It's this different standard that is the biggest barrier to VBAC availability. Of course, it would be nice to have a surgical team standing by at all times in hospitals, ready to intervene in case of any emergency (not just obstetric; car accidents can happen at any time of the day or night) ─ but it's simply not practical or affordable to have 24/7 constant on-site coverage in most institutions. On-call nearby coverage is good enough for everything else. Why isn't it good enough for VBACs? VBACs should not be held to a stricter standard just because they are VBACs. All births have potential risks. Yes, uterine rupture is an emergency and deserves to be taken very seriously. However, emergencies can happen in ANY birth, including life-threatening emergencies like placental abruption, umbilical cord prolapse, and shoulder dystocia, which have about the same incidence as uterine rupture. To say that it's not safe to do a VBAC without 24/7 coverage means that it's not safe to do ANY births at that hospital. Nor is there proof that 24/7 coverage improves outcomes, as a number of sources have noted. And research shows that the decline in VBAC rates has not improved neonatal mortality or maternal mortality at all. 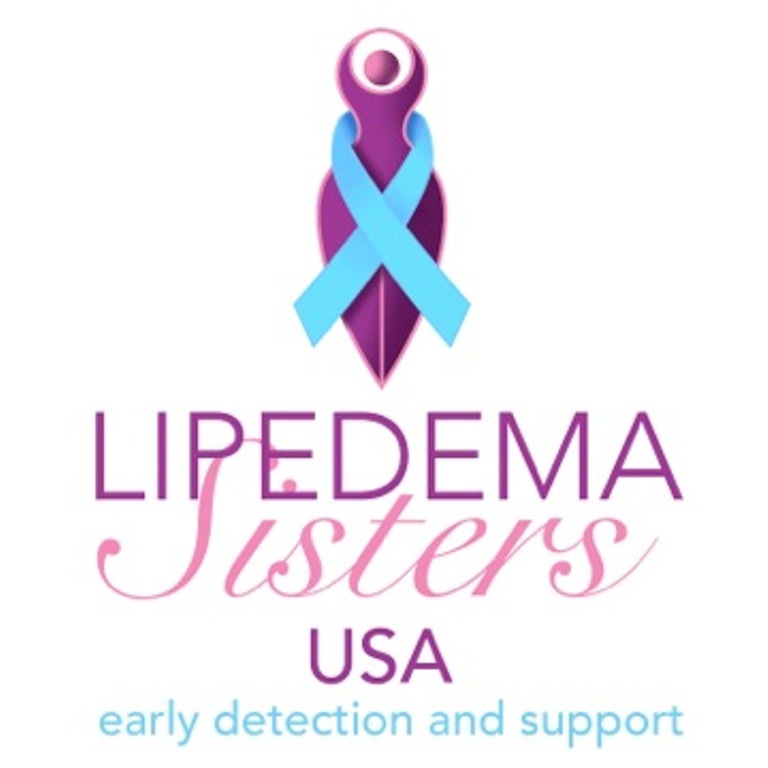 Before instituting such restrictive guidelines that potentially impacts the health of women so deeply, it is important to have research showing that 24/7 coverage makes a difference, that any improvements from such coverage would balance the women harmed from being forced into thousands of repeat surgeries in the smaller hospitals. And that research is simply not there. While it's ideal to have 24/7 coverage for all births because of the potential for emergencies, "readily available" is considered close enough coverage because 24/7 coverage on site is simply not practical or affordable for most hospitals. ACOG guidelines are only guidelines, not laws, but because they are considered "standard of care" in the community, few hospitals dare to defy them. If a hospital lets doctors be merely "on call" during a VBAC labor and something bad happens, they risk a huge malpractice award to the parents because they permitted the doctors to practice outside the standard of care from their parent organization. Since only the very largest hospitals are able to do 24/7 coverage, VBAC was effectively wiped out in many places, all from the change of one little word. ACOG's 2004 VBAC Guidelines continued to uphold this "immediately available" requirement, and VBAC access continued to drop drastically in the U.S. Other countries followed suit, and soon a trial of labor was difficult to find in many parts of the world. Current risk management policies across the United States restricting a TOL after a previous cesarean section appear to be based on malpractice concerns rather than on available statistical and scientific evidence...We could find no evidence to support a different level of care for TOLAC patients. Basically, the AAFP is saying that the "immediately available" guidelines is really about protecting ACOG members in lawsuits, not improving outcomes in VBACs, and there is no evidence to support such a restrictive guideline. We are concerned about the barriers that women face in gaining access to clinicians and facilities that are able and willing to offer trial of labor. Given the low level of evidence for the requirement for “immediately available” surgical and anesthesia personnel in current guidelines, we recommend that the American College of Obstetricians and Gynecologists and the American Society of Anesthesiologists reassess this requirement with specific reference to other obstetric complications of comparable risk, risk stratification, and in light of limited physician and nursing resources. Many birth advocates hailed the results of this conference as the start of a pendulum swing back towards VBAC and thought that surely ACOG would change its guideline back to "readily available" soon afterwards. Sadly, this was not to be. As a result of publicity from this consensus conference and pressure from advocacy groups, ACOG did adjust its VBAC guidelines ─ but only a little bit. It kept the recommendation for "immediately available" but created a little bit of flexibility by saying that while women should be counseled to go to a hospital with staff "immediately available" for emergency care, if they chose not to do so, they should be allowed to accept an increased risk of laboring elsewhere. However, because most hospitals are still afraid of the liability of doing this when the guidelines still recommend "immediately available" surgical coverage, most hospitals have not changed their VBAC policies, despite the change in ACOG guidelines. By not making any changes in this recommendation, hospitals that cannot meet this requirement are not likely to begin offering medical care for VBAC. The NIH reported that the ACOG recommendation to have personnel “immediately available” as opposed to “readily available”, as recommended in all prior VBAC guidelines issued since the 1980s, has influenced about one-third of hospitals and one-half of physicians to no longer provide care for women who want a VBAC. Because uterine rupture may be catastrophic, VBAC should be attempted in institutions equipped to respond to emergencies with physicians immediately available to provide emergency care. A trial of labor after previous cesarean delivery should be undertaken at facilities capable of emergency deliveries. Because of the risks associated with TOLAC and that uterine rupture and other complications may be unpredictable, the College recommends that TOLAC be undertaken in facilities with staff immediately available to provide emergency care. When resources for immediate cesarean delivery are not available, the College recommends that health care providers and patients considering TOLAC discuss the hospital’s resources and availability of obstetric, pediatric, anesthetic, and operating room staffs. Respect for patient autonomy supports that patients should be allowed to accept increased levels of risk, however, patients should be clearly informed of such potential increase in risk and management alternatives. The revised guidelines acknowledge that requiring “immediately available” resources for an emergency cesarean have resulted in hospitals, insurers and the obstetric community issuing formal or informal bans of VBAC, effectively denying women access to care and choice in birth. While this was not the intention, the “immediately available” language remains in the new guidelines, which may continue to unfairly limit women’s access to VBAC. The 2010 ACOG guidelines basically tell women to go to a large urban hospital with 24/7 coverage if they really want a VBAC, but this is simply not feasible for most families and won't change VBAC access. Most people in rural areas or small cities simply can't afford to drop everything and move to The Big City for several weeks around a birth, and inducing VBAC labors for convenience introduces greater risk. Nor do most women want to drive several hours to The Big City while in spontaneous labor.....especially in uncertain weather seasons like wintertime. Even women who live in big cities may not be able to choose hospitals with 24/7 coverage because of insurance issues, and not all large urban hospitals with 24/7 surgical coverage even allow VBAC. Furthermore, even in hospitals where 24/7 coverage is available and VBAC is allowed, providers vary widely in their support of a trial of labor. So this ACOG recommendation to go to big hospitals does little to increase access to VBAC for most women. Remember, more cesareans create more billable services, require less staffing (no hands-on labor support), make it easier to schedule personnel, and fills their hospital beds predictably. The sad truth is that hospitals make money from banning VBACs and increasing cesarean rates. VBAC bans are not about what's best for moms and babies; it's about what's best for hospitals' bottom line, convenience, and liability concerns. And that's just wrong. Overall, it’s dubious that these guidelines will in fact open up access for women. More than a revision of the VBAC Practice Bulletin is required to reverse the over a decade long trend of increasing cesarean rates and decreasing VBAC rates. Well, now we have data to show that the new guidelines have had little impact. A new study, Barger 2013, shows that ACOG's tweak had almost no effect on improving VBAC access in California. The authors investigated whether TOLAC rates in California had increased after the 2010 VBAC Consensus Conference and the ACOG guideline change. They found only minor effects at best. Since 2010, five hospitals started and four stopped offering TOLAC, a net gain of one hospital offering TOLAC with three more considering it. Only two hospitals cited change in ACOG guidelines as a reason for the change. CONCLUSIONS: Despite the 2010 NIH and ACOG recommendations encouraging greater access to TOLAC, 44% of California hospitals do not allow TOLAC. Of the 56% allowing TOLAC, 10.8% report fewer than 3% VBAC births. Thus, national recommendations encouraging greater access to TOLAC had a minor effect in California. Similarly, the Portland chapter of ICAN surveyed 52 hospitals in the state of Oregon in 2011 and found that a year after the guideline revision, VBAC bans had actually increased slightly. In all, the incidence of VBAC in Oregon was less than 2%. This is the sorry state of VBAC access today, and it is unlikely to improve anytime soon. Bottom line, ACOG needs to remove "immediately available" from their guidelines. A lack of 24/7 surgical and anesthesia staffing should not be a requirement to permit VBAC because VBAC should not be held to a different standard than all other births. Thousands of women are, in essence, being forced into unnecessary surgery because of lack of access to VBAC. Given the well-documented risks of multiple cesareans, this lack of access is harming women. This is unconscionable. Doctors, hospitals and elected officials MUST start pressuring ACOG to revise their guidelines, and pressuring insurance companies to remove VBAC barriers in malpractice insurance. Currently, hospitals, insurance companies, and plaintiff attorneys decide or strongly influence whether VBAC is an option. Instead, the patient should be allowed to make that choice after she has been informed of the facts and has been counseled by her physician thoroughly. Experience shows that when care providers, administrators, and consumers work together, VBAC access can be improved, as some organizations have managed despite the medico-legal climate. This system is not perfect, but it's better than what exists in many areas. And increasing access to VBAC can have significant effects in lowering the total cesarean rate. We consumers have been pressuring ACOG for years to change the "immediately available" wording but have been only marginally successful. Too many ACOG members do not care about the chilling impact their guidelines have had on childbirth choices all over the country. However, if there is enough push-back from their own members and other professional colleagues, along with continued pressure from consumers, change can happen. It's time for healthcare professionals to stop acquiescing with VBAC bans, to step up and make their voices heard. They, too, must fight back for VBAC. The ACOG VBAC guideline wording will only change when the big guns in the medical and political community start pushing back and stop letting the insurance companies, paper-pushers, and lawyers dictate reproductive decision-making. Consumers must keep up the pressure and get more doctors, hospitals, and elected officials involved. ...attempts to increase the VBAC rate make little sense without addressing the reason for the problem in the first place. Reducing the number of primary cesareans deals with the problem where it originates. Unless measures are instituted to reverse the rapidly rising cesarean rate, catastrophic complications from placenta accreta and percreta associated with multiple repeat cesareans soon may be a greater problem than uterine rupture. Want to take action? Link to this article on your blog or Facebook page. Find out if any of your local hospitals has a VBAC ban and if it does, push it to reverse its ban. Pressure your doctor or midwife to speak up for VBAC and for lowering the primary cesarean rate. Click on this link for ways to start making your views known to your elected officials. Or get involved with your local ICAN chapter or other birth advocacy group. Make some noise before cesareans are the norm and VBACs disappear altogether. ...METHODS: Between November 2011 and June 2012, charge nurses at all civilian California birth hospitals were surveyed about hospitals' TOLAC availability and requirements for providers...RESULTS: All 243 birth hospitals that were contacted participated. In 2010, among the 56% TOLAC hospitals, the median VBAC rate among TOLAC hospitals was 10.8% (range 0-37.3%). The most cited reason for low VBAC rates was physician unwillingness to perform them, especially due to the requirement to be continually present during labor. TOLAC hospitals were more likely to be larger hospitals in urban communities with obstetrical residency training. However, there were six (11.3%) residency programs in non-TOLAC hospitals and 5 (13.5%) rural hospitals offering TOLAC. The majority of TOLAC hospitals had 24/7 anesthesia coverage and required the obstetrician to be continually present if a TOLAC patient was admitted; 17 (12.2%) allowed personnel to be 15-30 minutes away...In 2012, 139 hospitals (57.2%) offered TOLAC, 16.6% fewer than in 2007. Since 2010, five hospitals started and four stopped offering TOLAC, a net gain of one hospital offering TOLAC with three more considering it. Only two hospitals cited change in ACOG guidelines as a reason for the change. CONCLUSIONS: Despite the 2010 NIH and ACOG recommendations encouraging greater access to TOLAC, 44% of California hospitals do not allow TOLAC. Of the 56% allowing TOLAC, 10.8% report fewer than 3% VBAC births. Thus, national recommendations encouraging greater access to TOLAC had a minor effect in California. BACKGROUND: Women's access to vaginal birth after cesarean (VBAC) in the United States has declined steadily since the mid-1990s, with a current rate of 8.2%. In the State of Florida, less than 1% of women with a previous cesarean deliver vaginally. This downturn is thought to be largely related to the American College of Obstetricians and Gynecologists (ACOG) VBAC guidelines, which mandate that a physician and anesthesiologist be "immediately available" during a trial of labor...Fear of liability was a central reason for obstetricians and midwives to avoid attending VBACs. Providers who continued to offer a trial of labor attempted to minimize their legal risks by being highly selective in choosing potential candidates. Definitions of "immediately available" varied widely among hospitals, and providers in solo or small practices often favored the convenience of a repeat cesarean delivery rather than having to remain in-house during a trial of labor. Midwives were often marginalized due to restrictive hospital policies and by their consulting physicians, even though women with previous cesareans were actively seeking their care. CONCLUSIONS: The current ACOG VBAC guidelines limit US obstetricians' and midwives' ability to provide care for women with a previous cesarean, particularly in community and rural hospitals. Although ACOG has proposed that women be allowed to accept "higher levels of risk" in order to be able to attempt a trial of labor in some settings, access to VBAC is unlikely to increase in Florida as long as systemic barriers and liability risks remain high. A review of the literature and analysis of the National Inpatient Sample Database was performed to describe the trends in vaginal birth after cesarean availability in the United States and the factors associated with changing use. 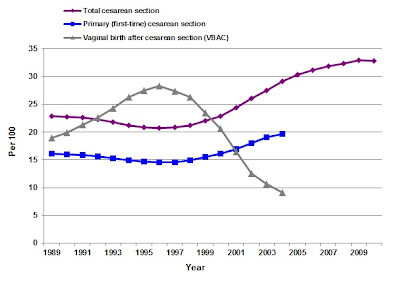 Vaginal birth after cesarean increased after the first National Institutes of Health Consensus Conference on Cesarean Childbirth in 1981. It increased from 3% to a maximum rate of 28.3% in 1996. Despite studies reporting stable success rates of approximately 70% and low complication rates (<1%), concerns about patient safety and physician liability have led to more restrictive policies and a decrease in vaginal birth after cesarean use. The current rate is approximately 8.5%, and decreased rates have been noted for all age and ethnic groups. 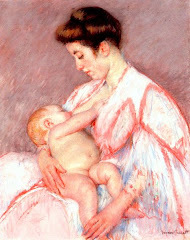 There is decreased use of vaginal birth after cesarean as the result of concerns about patient safety and physician liability, which has resulted in decreased availability. Cesarean delivery is the most common major surgical procedure for women in the United States, with 1.4 million surgeries annually. 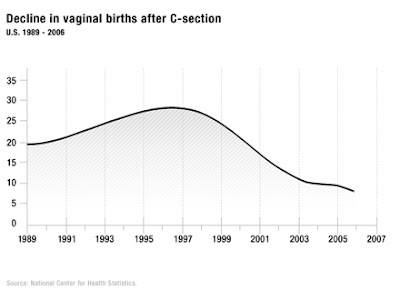 In 2008, nearly one-third (32.3%) of US births were by cesarean delivery. Cesarean delivery rates have increased rapidly in the United States in recent years because of an increasing primary cesarean delivery rate and a declining vaginal birth after cesarean (VBAC) rate. In 2007, the VBAC rate was 8.3% in a 22-state reporting area. The US VBAC rate was lowest among 14 industrialized countries; 3 countries had VBAC rates greater than 50%. BACKGROUND: ...We examined the effect this new guideline [kmom: 1999 "immediately available" wording] would have on physician's VBAC/TOL practices in Utah...METHODS: In spring 2001, we surveyed by mail all physicians practicing obstetrics in Utah... RESULTS:...Forty-five percent of all physicians reported a decline in VBAC practices in the preceding 12 months. Urban physicians' use of VBAC/TOL decreased the least, followed by rural and suburban. Eighty-seven percent of physicians had C/S "immediately" available during TOL: urban physicians 100%, suburban 88%, and rural physicians 76%...CONCLUSION: Physicians use of VBAC/TOL has changed. TOL is offered less by obstetrical providers in Utah and more repeat C/S are performed since 1999 when ACOG updated this policy guideline. This decline has been more noticeable in suburban and rural hospitals and is consistent with recent national trends. Many rural physicians are unable to comply with ACOG Practice Guideline number 5 recommendations. ...STUDY DESIGN: We examined birth certificate and hospital data in the State of Maine from 1998 to 2001...RESULTS: VBAC rates declined by over 50% from 30.1 to 13.1%. The total Cesarean rate climbed from 19.4 to 24.0%. The most commonly reported reason for decrease in VBAC varied depending on whether a practitioner's hospital met ACOG guidelines. CONCLUSION: A marked decline in VBAC occurred after the change in ACOG vaginal birth after Cesarean policy. Multiple factors have contributed to this decline, including patients refusing VBAC after counseling and inability of institutions to meet ACOG guidelines. ...METHODS: Every hospital in Colorado, Montana, Oregon, and Wisconsin was contacted by telephone at least once during the period 2003 to 2005... RESULTS:...Almost one-third, 68 of 222 (30.6%), of responding delivery hospitals that previously offered VBAC services had stopped doing so; seven hospitals had never allowed VBAC. Of the hospitals that still allowed VBAC, 68 percent had changed their VBAC policies since 1999, with the most frequent changes requiring the in-house presence of surgery (53%) and anesthesia (44%) personnel when women desiring VBAC presented in labor...CONCLUSIONS: In the years following advocacy of the 1999 policy, the availability of VBAC services significantly decreased, especially among smaller or more isolated hospitals. Under the strong leadership of Maternal-Fetal Medicine specialists and the support of the tertiary care centers serving the region, Northern New England (NNE) initiated a collaborative project to improve the availability and safety of trial of labor aftercesarean delivery. The project involved over 250 individuals from over 30 organizations and resulted in a strong regional guideline that has been implemented by institutions across the nation. The availability of trial of labor after cesarean in NNE has increased. The work led to the creation of the NNE Perinatal Quality Improvement Network, whose work has improved regional outcomes. National Institutes of Health. Cesarean childbirth. NIH publication no. 82-2067. Washington (DC): Government Printing Office, 1981. What a fantastic article. The state of VBAC access says all anyone needs to know about birth in the U.S. Evidence, the well-being of moms and babies, and the right of women to decide how they give birth are trumped by cost, liability, and provider preference. Thank you for writing such an awesome piece! This is a must-read. I was fortunate enough to get my VBAC. I live in a town of 250,000 and had to switch hospitals when I was at 34 weeks, but I got it. My hospital mistakenly billed me for a caesarean and I was forced to call them and wait three months for the corrected bill. Imagine my shock when my VBAC was more expensive than my magical caesarean that they originally charged me for. Fortunately, I have good health insurance and I could afford the price difference, but there you have another undue burden on women who simply want a chance to give birth the way we were meant to instead of getting an automatic trip to the OR.